The biggest of these events was of course the sudden announcement by the government to immediately remove all Rs500 and Rs1,000 notes by 30 December. A total of Rs15.44 trillion ($220 billion) – or 86% of the currency in circulation – was abandoned almost overnight. Whilst many internationally and in India itself, especially their many small and medium enterprises, looked on in horror at the impact this had on savers and on the economy, the Governor of the Reserve Bank of India, Urjit Patel’s prediction that the economic recovery would be ‘V’ shaped has come to fruition. The World Gold Council’s June newsletter draws attention to two significant indicators, the Composite PMI and the sale of motorcycles, which have demonstrated this V-recovery. 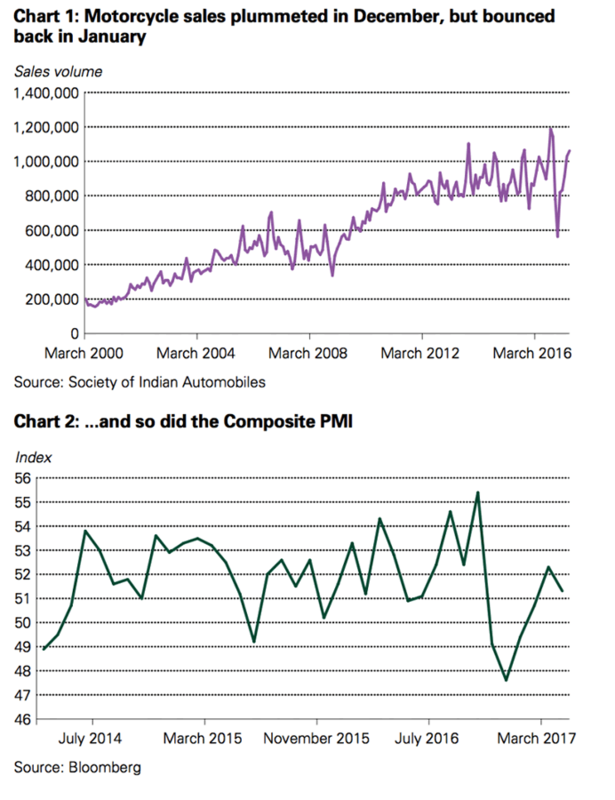 The sale of motorcycles are a good indicator of the health of India’s cash economy. Last year sales halved in one month, to their lowest in six years. The PMI dropped to its lowest level on record. Both have since rebounded. Whilst there are still some controls on cash, new money has been printed and is making its way into circulation. Cash in circulation has increased by 58% in the first half 2017, this will no doubt help the economy past the liquidity squeeze. 2016 wasn’t just about the war-on-cash in India. The gold market was also negatively affected by a prolonged jewellers strike. Sales of gold were crippled across the country as a result. The strike is now over and supply of jewellery to the market has reportedly returned to normal levels. In the short-term the removal of 86% of the country’s cash was clearly damaging to physical gold demand and there are some lingering effects that will continue to impact the market. The first of these is that as of April 1 2017, all cash transactions over RS200,000 (US$3,000) are banned. This is likely to prove problematic for those in rural areas where access to banking, cheques and electronic payments is not common. We obviously don’t know what the impact of this will be. It may curb gold purchases all together, or we may see a change in gold buying behaviour namely pushing demand onto the black market or buyers spreading their purchases over a period of time. The above is a negative, but something which is only likely to impact in the short-term. If at all, it may not given the ruling came into play in April and purchases have remained strong since then. Ultimately over time buying behaviours will change rather than the desire to hold gold. 63% of respondents in India agreed with the statement. And 73% of respondents in India agreed with the statement. Whilst the survey was carried out before November 2016, we have little doubt that the sentiments echoed in the WGC’s survey are even stronger given the somewhat underhanded way in which the government went about removing cash from circulation – and the severe impacts on many ordinary Indian savers and business people. Will strong demand keep going? 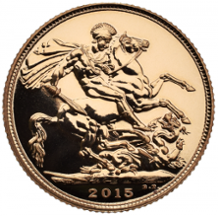 Whilst the country appears to have recovered from the demonetisation of November-December 2016, there are new factors which will both negatively and positively impact the demand for physical gold. One of these is the new change and simplification of the GST. 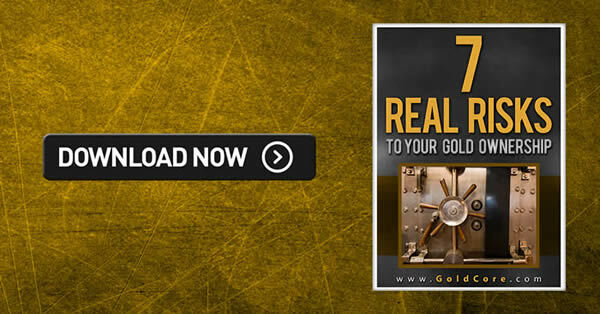 Last month the government announced an increase of GST on gold products from 1.2% to 3%. It is likely that much of the rush to buy gold in the first half of the year was partly due to concerns over the forthcoming rate hike. Gold dealers were likely looking to stock up on gold, ahead of any planned increases in the price. Therefore we may see a drop in demand now the GST rate has been announced and recently implemented. Or we may not. The change in GST could add some much needed efficiencies to the Indian gold market. Despite the increase in GST, the move was ultimately welcomed by the gold market who had expected a higher hike, to perhaps 5%. As the WGC wrote in last month’s report: GST should eliminate double taxation and improve supply chain efficiencies. It can make the gold industry more transparent which, coupled with recent hallmarking legislation, should ensure gold buyers have confidence in the gold products they buy, rather than continuing to suffer from the gross level of under-carating they have previously endured. This is particularly good news when you consider the inflation-busting wage hike that government employees and pensioners are due this year. 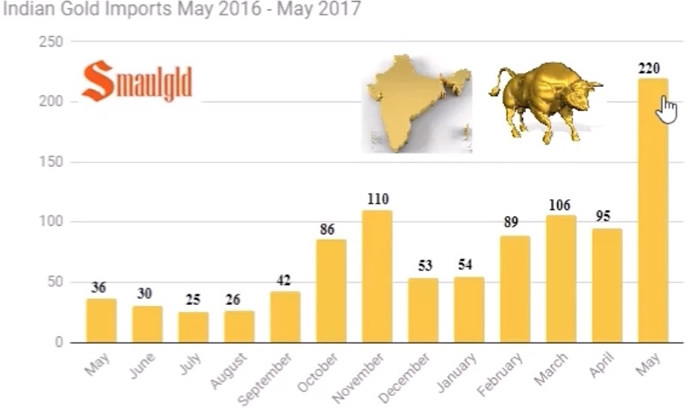 This will no doubt support demand for physical gold as will the additional income farmers are currently enjoying following the bumper agricultural crop in 2016, following the best monsoon in three years. Both rural and city incomes are set to climb in the coming months thanks to these factors, so it is unlikely a small increase in tax will put off anyone intending to buy gold. Of course, in the short term it is likely GST will pose challenges for the industry, particularly for small artisan jewellers. But overall the move is likely to put more confidence in the marketplace. Like everything in markets, pictures tell a very different story when you look at the long and short-term factors. 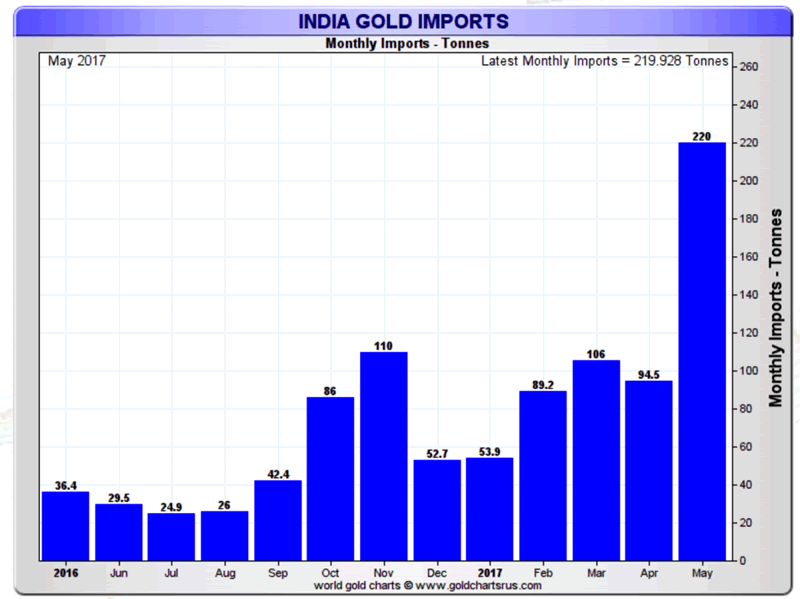 Last year, gold demand in India was very weak. Stories circulated about the growing middle-class and their lack of interest in the gold that the older generations have so desired. Long-term, there have always been changing fortunes, changing government policies and factors which will both positively and negatively impact the demand for gold. However, gold demand has always remained strong and India, alongside China, remains the world’s top gold buyers. Observers are right to be positive about Indian gold demand in the long-term. Economic growth will likely continue to push demand higher thanks to the groundswell of young Indians set to enter the workplace, growing middle class incomes and the poor performance of the rupee as a store of value. There will inevitably be peaks and troughs and ebbs and flows along the way, but gold will remain a key part of the Indian ‘saving DNA’. Therefore India will continue to be a vital and significant source of demand in the global gold market.